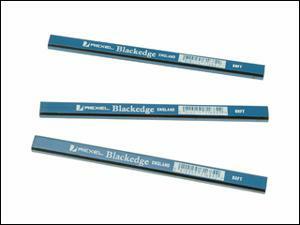 Pencils of oblong section which can be sharpened to a chisel shaped edge. This eliminates the tendency of a pointed pencil to follow the grain. Ideal for marking Softwoods and newly felled timber.